Nothing but a real Kangol cap can complete your casual style. The classic look of these iconic hats are like nothing else out there. You'll find that other hat companies will try to copy Kangol, but you want the real deal, right. 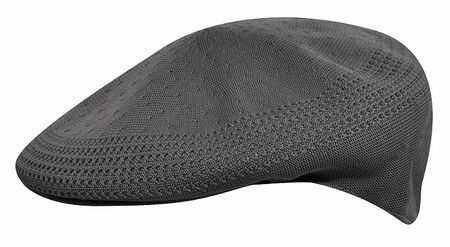 This charcoal grey color cap features that classic ventair style knit that just keeps your head cool when it's hot out there.